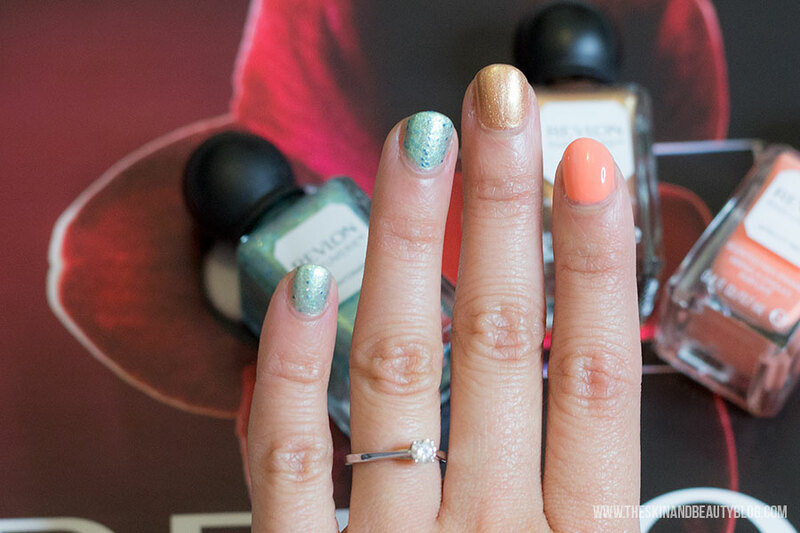 How to Get Nails that Look Good and Smell Good Too! Gimmicks like scented nail perfumes always get me. I don’t know why but its that thought of being able to catch subtle whiffs of my nails as I bring them close to my face like applying makeup for example brings me a little bit of happiness. 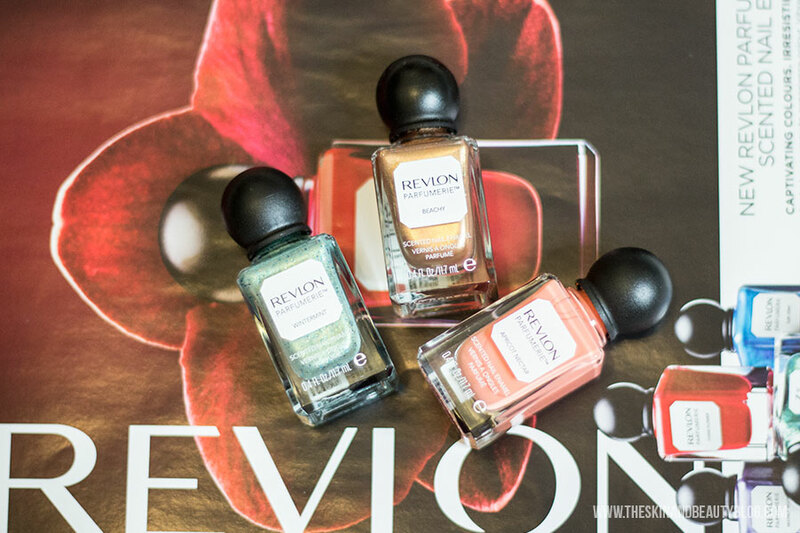 Mind you, I am easily pleased I have been frequently told... Revlon has launched a fantastic line of scented nail enamels that just have me completely sold. 1.) Wintermint. Out of the entire lineup this is the one to check out. We’ve seen glitters time and time again but this one is unique. It is a beautiful shimmery mint green with little round flecks of navy/cerulean blue. It applies like a dream and brings a refreshing sweet toothpaste like minty-ness that even feels cooling on the skin. It is stunning. Check this out! 2.) Beach. I’m a sucker for golds and this aptly named polish is fantastic for the warm season. Imagine bronze beach babe style. You may wonder Does it smell like the beach? What does the beach actually smell like? I would imagine a beach to smell like a mixture of salt and coconuts in the wind… Revlon’s Beach is reminiscent of the waft you get when you enter H&M in the summer season. This applies very well and goes down with my summer kit swimmingly! See what I did there? 3.) Apricot Nectar. This is a beautiful creamy peach. While there are some struggles with the application – it can apply quite streakily, much more so than the other two. The scent and finish make up for it though. It smells delicious and is the perfect shade for peach lovers. So that’s my two scents on the Revlon Parfumerie Scented Nail Enamels. Have you tried this lineup? Which ones would you recommend? ooo these are so cool. i wonder why they didnt bring out scented nail polishes earlier! I know right? It's becoming a trend.. be on the lookout for more scented nail polishes from the different drugstore brands!